SEIBON Bucket Seat - Type FC UNIVERSAL - Pann Auto Performance - San Diego largest aftermarket automotive performance parts - What do you drive? 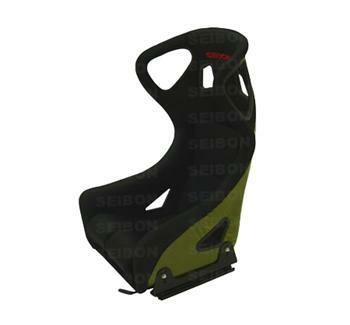 The SEIBON Type FC Bucket Seat is offered in Carbon Fiber for the lightest, most durable racing seat offered. The SEIBON Type FC Bucket Seat is covered in smooth ultra-suede and add head restraints for an added level of protection. Split leg cushion ensure comfort while driving and strategically placed wear patches ensure the seats performance for years to come.